Take a glimpse into life and formation into the priesthood; the weekend includes talks, time for personal prayer, sacraments, spiritual guidance, Q & A with seminarians and discussions. 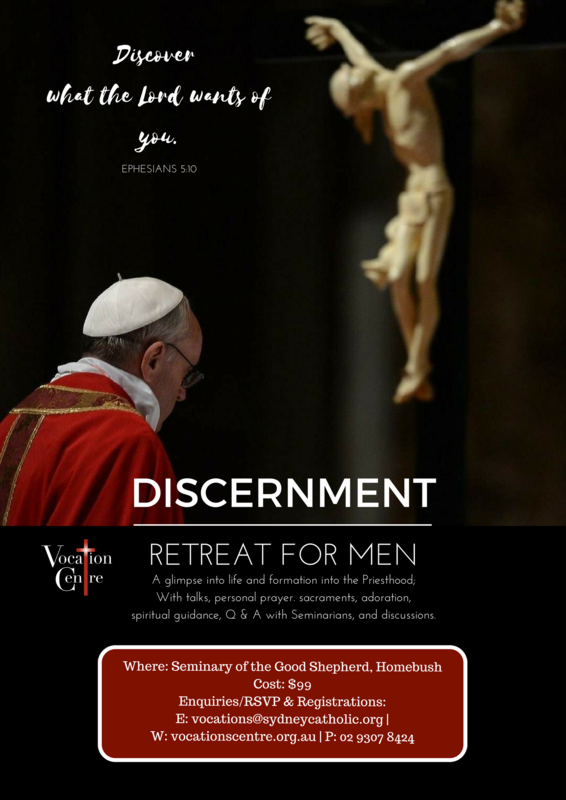 This retreat is designed to help men discern their vocations. Where: Seminary of the Good Shepherd, 50-58 Abbotsford Rd, Homebush.